Logiflex is a leading North American manufacturer of casegoods. We provide solutions that work - solutions that reflect our customers' real business needs. When people use a Logiflex product they have individual needs. We pride ourselves on meeting those needs with the best possible solution every time. ADI's originality is the result of a right proportion of such innovation, aesthetics, functionalism and consistency in all its products. ADI is certified ISO 9002 since 1996. 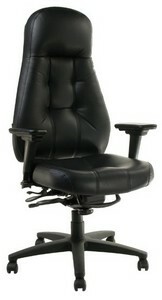 Our chairs are on GSA Contract: GS-28F-7009G and Canadian Standing Offer E60PQ-000001/006/PQ. HORIZON manufactures and distributes a broad line of ergonomic seating and computer accessory products designed and engineered to deliver comfort, safety, and increased productivity while meeting the needs of today's active workplace. HORIZON'S mission is to provide our dealers and their customers with "cutting edge" ergonomic seating and computer accessory products that deliver Quality, Comfort and Value backed with service that is "above and beyond" our dealers' expectations.